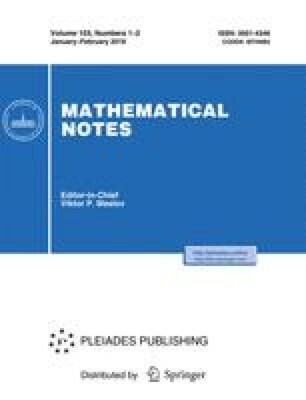 In this note we consider the problem of representing solutions of linear partial differential equations with two independent variables in the form of finite sums. We obtain one sufficient representability criterion and indicate several classes of equations to which it is applicable. As examples we obtain new exact solutions of the transformed minimal surface equation and the Tricomi equation. Translated from Matematicheskie Zametki, Vol. 20, No. 3, pp. 359–363, September, 1976. In conclusion, the author would like to thank A. F. Sidorov for his guidance.